Edibles are the final frontier of cannabis exploration for avid enthusiasts looking to get the most out of their marijuana experience. Eating marijuana produces a more intense, almost psychedelic effect that lasts hours beyond simply smoking it. People looking to take their cannabis experience to the next level are turning to edibles. If you love your cannabis but are hesitant to trying eating it, don't be. Knowing what you are getting into is the the first step you should take before undertaking this incredible sensory experience. Understanding how edibles work differently than smoking can help you gauge your intake. When cannabis is smoked, it is absorbed by the lungs and Delta-9 THC enters your bloodstream making its way to your brain. 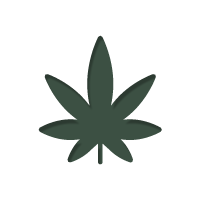 When you eat cannabis, it is absorbed through the stomach and then metabolized by your liver. The result of metabolizing Delta-9 THC is that it is turned into another form of THC that is more easily absorbed by the brain. 11-Hydroxy THC is the result, which has the ability to more rapidly penetrate the blood-brain barrier and produces effects more closely associated with psychedelics like LSD. Ingesting cannabis gives the user the effects of Delta-9 THC as well as the added bonus of the metabolized 11-Hydroxy THC, resulting in a very cerebral high and tingling body buzz. The effect will last anywhere from three to six hours or longer depending on your metabolism. If you've never consumed edibles before, I would start by dipping your toe, not diving in head first. The effects are different for everyone. Some people claim edibles have no effect on them while others feel heavy effects after consuming just small amounts. Don't rush things and take it slow is the best advice you can get. Starting with a low dose of ten milligrams is enough to test your starting point. Remember, you can always take more but you can't change your mind once you've eaten it. For a regular user, consuming twenty five to fifty milligrams or so is a good standard. Tolerances build and over time it is not unreasonable for an experienced user to consume 100mg or more at a time. But that isn't you so I wouldn't recommend trying it. The best thing about cannabis is that it won't hurt you. As long as you don't freak out, the worst thing that will happen is you fall asleep after killing a bag of chips. I wouldn't drink any alcohol if you are consuming edibles for the first time. What may seem like an innocent sip can have a profound impact on your buzz. Being new to edibles, alcohol is the last thing you want to consume. I would avoid taking any other kinds of medication if you are consuming edibles as well. The THC is likely to enhance the effects of any other medications, and you just don't know what adverse reactions you might have. Before you take your first dose, make sure you've had a good meal. Having food in your stomach can ease the effects as they kick in so they don't hit you all at once. If you have kids in the house, make sure you keep your edibles clearly labeled and out of reach of their reach. We just don't know enough about the effects of cannabis on developing minds, so its definitely not something you want to take a chance with. The most important thing you can remember when consuming edibles is that you should not drive! Edibles can take along time to kick in. If you are inexperienced with edibles and caught behind the wheel when they kick in, the result can be disastrous. An easy way to get started making your own edibles at home is to start with the classic pot brownie or a space cake. Making your own edibles at home is a great way to control your potency if you are nervous about store brands. If you are going to bake marijuana infused products, your main ingredient is going to be your butter. Making your own marijuana infused butter is simple. It involves the melting down sticks of butter, adding water and finely ground cannabis. The result is a cannabutter, a highly concentrated THC filled butter that will take you to the moon and back. For a great and easy recipe, read our article on how to make cannabis butter. Knowing how potent your butter is and how much to use accordingly are very important, especially for those new to edibles. Calculating your dosing is also very important. I would recommend doing your calculations before you eat your brownies unless you have a knack for math when you are melted into your couch. If your cannabis has a THC content of 20%, then you are looking at 200mg of THC per gram of marijuana. Multiply the number of grams of weed used by 200mg and you'll get the total milligrams of your cannabutter. Divide that amount by the number of pieces and you have a simple way to know exactly how much THC you are consuming. Making your own brownies is as simple as throwing together your ingredients, mixing them up and baking 'em. Remember, knowing your tolerance and how much you can handle are the keys to enjoying marijuana edibles. For a quick and easy edible you can make at home, try this out of this world Space Cake recipe. So if you are ready to take the leap and begin exploring the world of edible cannabis, keep in mind these simple tips and you'll have a safe and fun experience. Eating cannabis can be a transformative journey and can open your mind to new possibilities. Edibles are a powerful way to get high and you need to maintain a certain level of caution if you are not experienced. Remember if you start slow, know your limits, and act responsibly, you will undoubtedly have the time of your life.